Sharpitor during filming of "Wingless". 31 - The short story version of Capsule is released on Scribd. 20 - An early draft script of Exile is completed. 15 - Wingless Films' first anniversary. Jim and Tom guest on The Film Show Episode 2 with Bill Sheikh. 09 - Tom guests on The Film Show Episode 1 with Bill Sheikh. 06 - An early second draft script of the un-filmed short, The Firebrand, is completed. 02 - Tom is cast as David York in John Tomkins' They're Coming. 27 - Disavowed is released. 20 - Jim and Tom guest on The Movie Show on Riviera FM. 07 - An early draft script of the unfilmed short, The Firebrand, is completed. 04 - Knight is released. 03 - Tom Menary's twenty-fifth birthday. 31 - A Deadly Interview is released. 20 - Test footage is filmed by Jim for Knight. 06 - Camera Obscura is released. 01 - The third draft script of Camera Obscura is completed. 20 - Chase the Dragon is released. 17 - Darkness is released to Wingless Films' Vimeo channel. 16 - Darkness is released. 12 - The second draft script of Camera Obscura is completed. 11 - Tom's voiceover for Darkness is edited. 17 - A draft script for Darkness (with the working title The Man in the Sun) is completed. 29 - The soundtrack to the unreleased film An Itch in Time is released. 26 - The Straw Man soundtrack is released. 25 - Straw Man is released. 23 - Filming and editing completed on Straw Man. 19 - All Angels is released by the Churches Conservation Trust. A draft script of Straw Man (with the working tile The Suicide Bomber) is completed. 17 - Jim guests (for the first time) on The Movie Show on Riviera FM. 10 - Scout is released. 04 - Filming on Scout in Lee Moor. Tom releases a video of the end of filming. 03 - Sanctuary is released. A draft script for the alien language (Apneok) in Scout is completed. Tom films an alien dialogue test. 28 - Filming begins on Sanctuary. 19 - Filming of All Angels at the Church of St. Michael & All Angels Midsummer Tea Party in Princetown, Dartmoor. 16 - The shooting script for Sanctuary (with the working title The Church) is completed. 07 - Filming begins on the unfinished short, An Itch in Time, in Dartmoor. Location scouting for Sanctuary at the Church of St. Michael's and All Angels in Princetown, Dartmoor. A rough draft script for Sanctuary (with the working title The Church) is completed. 01 - An early draft script for Scout (with the working title The Survivor) is completed. 30 - Spirit of the Frontier is released. 29 - Editing conducted on Spirit of the Frontier. 25 - Filming ends on Spirit of the Frontier. A teaser trailer is released. A second rough draft script for Sanctuary (with the working title The Church) is completed. 19 - Filming of Spirit of the Frontier in Dartmoor. Production photos taken by Mike Kinsey. 17 - An early draft script for Sanctuary (with the working title The Church) is completed. 10 - Tom's Blog #2: Dirty Road (Filming, Day One) is released during production of Spirit of the Frontier. 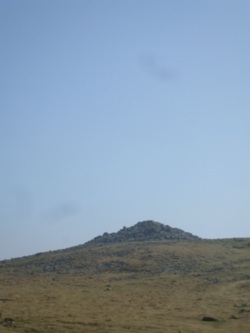 09 - Filming begins in Dartmoor on Spirit of the Frontier. 04 - Tom's Blog #1: Howdy is released during pre-production of Spirit of the Frontier. 02 - Second location scouting and scene tests for Spirit of the Frontier in Dartmoor. 25 - A second draft script of Spirit of the Frontier is completed. 24 - A second revised first draft script of Spirit of the Frontier is completed. 21 - The soundtrack to Wingless is released. 20 - Additional sound recording for Wingless and location scouting for Spirit of the Frontier in Dartmoor. Wingless is released. Tom Thrown Against Tree, an outtake from pre-production filming for Spirit of the Frontier, is released. 05 - A revised first draft script of Spirit of the Frontier is completed. 04 - A rough draft script of Spirit of the Frontier (with the working titles Frontier and The Western) is completed. 23 - Filming on Wingless in Dartmoor. 22 - Location scout conducted in Dartmoor for Wingless. 15 - The soundtrack to the unreleased film Protected is released. 13 - Fifty is released. Tom's Last.fm Artist Profile is created. 28 - Colourization of a Journey is released. 24 - Tom Menary's Her Voice is released. 18 - Capsule (Parts One and Two) is released. 09 - Fires of Childhood is released. Filming in Plymouth University's greenscreen studio for Capsule. 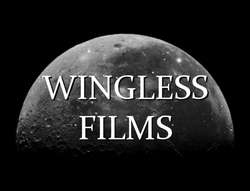 07 - @WinglessFilms is created on Twitter. 29 - A teaser trailer for Capsule is released. 21 - A studio test is conducted at Plymouth University during pre-production of Capsule.